"The matrimonial covenant, by which a man and a woman establish between themselves a partnership of the whole of life, is by its nature ordered toward the good of the spouses and the procreation and education of offspring; this covenant between baptised persons has been raised by Christ the Lord to the dignity of a sacrament." Thank you for choosing this parish as the location for your marriage. Togher Parish requests six months notification of marriage in order to facilitate necessary preparation of the Sacrament of Marriage. To assist with the completion of Church and Civil Documentation you may find the list below of some help. 1. Baptism Certificate – issued not more than six months previously. 3. Letter of Freedom – priest will advise you if this is required. 4. Pre- Nuptial Form – completed by the priest of the parish in which each person is living. It is part of Civil Law that all couples give at least 3 months notification to the Registrar of Marriage. Please Note – new legislation which became law in November 2007. For more information you can visit www.civilregristrationservice.ie. • Readings used in the Liturgy of the Word must be from scripture. • Music must be appropriate. • Flowers - scented lilies are not allowed anywhere in the church. 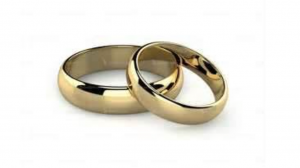 The celebrant will be more than willing to help you with your Marriage Liturgy and please discuss your liturgy with him in advance of the ceremony. If we can be of any further help in contributing to your marriage arrangements please feel free to contact the parish.